Things I really look forward to is meal prep Sunday. I love to cook, and getting prepared for the week. 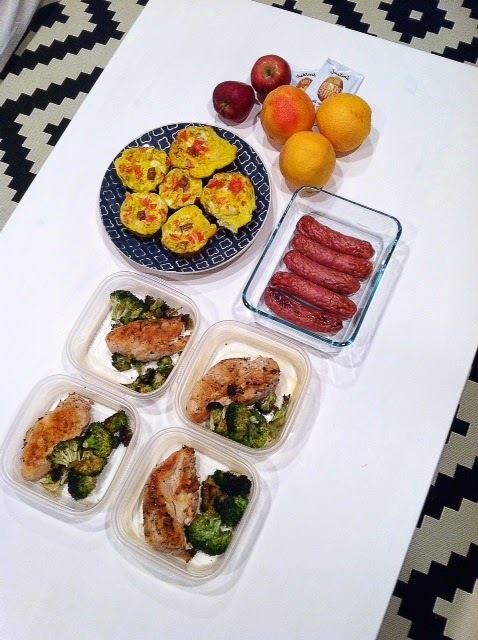 Plus meal prepping not only keeps me on track, but I don't have to spend money on $10 lunches that I can make at home. I really don't meal prep our dinners for the week. I usually keep a calendar of what we might have for the night. Tuesday we might eat tacos, and Wednesday we eat breakfast for dinner. I am ready for warm weather, and grilling! !